Lip augmentation increases the size of the lip for patients whose lips have lost volume with age, or who are unhappy with the natural appearance of their lips. Through injectable fillers, autologous grafts or synthetic implants, patients can achieve larger, fuller lips with minimal downtime and little to no side effects. With realistic expectations and good overall health, most patients are satisfied with the results of this procedure. I went to Dr Claytor for a lip augmentation in June 2016. Every aspect of the office visit was exceptional from the front office staff, to the procedure itself. 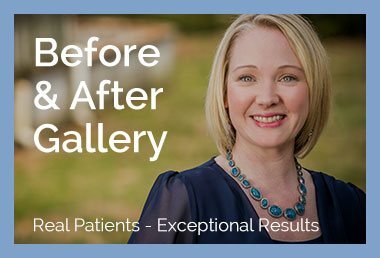 Dr. Claytor is a physician who takes great pride in the patient experience, and the outcomes of your procedure. I’m a very hesitant patient when it comes to plastic surgery. I prefer results that look natural, and I want the least “down time” possible. Dr. Claytor checked in on my thoughts throughout the process to ensure I was comfortable with the amount of product used, and how Inwas feeling. I’ve had lip procesures before and have always looked bruised afterwards. With just a little bit of ice, and a carefully handed surgeon, I did not show a single bruise and my lips were more than ok to show in public immediately after. I was so pleased with my experience at Dr. Claytors office and I will definitely be back in the future. Thank Dr Claytor- and Debbie Lander- for taking such great care of your patients!